The level excellence, professionalism, and true creative talent that Thomas Slack possesses is impossible to convey through a simple review. A few weeks have passed since our wedding day, and my husband and I cannot help but reflect on our appreciation for all of the incredible people that worked behind the scenes to help make our day so memorable. Thomas was undoubtedly one of them. Thomas's patience and calming demeanor are only one of his strengths as a photographer (while very impressive!). His greatest attribute lies in his art, as he is truly a master of his craft. After receiving our engagement photos, it became clear that Thomas had an artistic eye and was a natural behind the camera; however, it wasn't until we received the wedding photos that his talent, skill, and experience became most apparent. I can be a bit of a control-freak at times, and I was amazed that Thomas captured every detail without having to be told. From the first kiss - to the fine lace detail of my dress, he didn't miss a beat. The day after our wedding, I told my husband that I never want to forget the feeling of love we experienced in the room that day, and thanks to Thomas, that is possible. Each photo brings back every raw emotion, and that is exactly what you want from a photographer. In addition to all of this, he is just an awesome guy and someone both of us consider a friend moving forward. We can't wait to work with him in the future...we know he's already getting phone calls from our family and friends. Thank you, Thomas! You're the best. We spent a long time looking for a photographer. Most of the people we found had generic portfolios and numerous packages that were misleading or confusing. By referral we came across Thomas Slack's work and we knew right away that we wanted him to shoot our wedding. He gave us a reasonable and straight forward quote for what truly was publication style work. His portfolio is amazing! On the day of the wedding things could not have gone smoother (at least photography-wise). Thomas was highly professional, friendly and polite and the flawlessly integrated photo sessions turned out to be some of the highlights of the day. One of our happiest moments was stepping out right after the ceremony to pose for our 'just married' session. We laughed and giggled, kissed and held each other under Thomas's gently-nudging camera-eye, transforming our clumsy happiness into artful elegance. Our photos are fantastic and a memory-lane each time we revisit. We wholeheartedly recommend Slack Photography! I've known Thomas for 7 years now thanks to being a hair/makeup artist. Working in the industry for over ten years I have come to know and love many photographers but when it came to hiring someone to shoot my wedding, there was no one else I would think to use. His ability to capture moments in an editorial and artistic fashion is truly what stands out when you compare his work to anyone else. We flew him from Chicago to Oregon because I knew his personality, style and talent would be a perfect fit for our wedding, and let me tell you, he nailed it. Friends, family, acquaintances and complete strangers have been commenting on how amazing our images are, and its not because of the PNW, its all thanks to Thomas. My husband and I hired Thomas Slack for our December 2018 wedding and we are absolutely thrilled with the photos. Thomas is cool and fun to work with and makes you feel comfortable during shoots, and we were just blown away when we saw the gorgeous photos he took. I spent the whole night thinking he wasn't around much, but it turns out he's just completely non intrusive and actually captured every moment. I've been to weddings where it felt like cameras were in people's faces all the time; this couldn't have been further from the case with Thomas. He managed to get all the little moments that were so dear to us - we're so thrilled that we worked with him! As a woman planning her wedding from San Francisco, I was incredibly nervous about hiring vendors. It was hard for me to meet anybody, and all planning had to be done via email and phone. Working with Thomas could not have been easier, and I couldn't be happier with our wedding photographs. On a wedding planning visit I made to Chicago, I asked if we could grab coffee as I wanted to at least say hello in person before our wedding. We met right after I had my hair and makeup trial and I looked just a LIIIIIIIIIITTLE overdone for a coffee shop meeting. I immediately felt at ease with Thomas and knew he was the right photographer for us. On our wedding day, Thomas was calm and collected . My mom is STILL talking about how much she liked "Thomas the photographer"
Thomas and his assistant, Wendy, managed to catch all the fun, sweet moments throughout the day that I completely forgot about. I also appreciated that we own all the proofs for the wedding photos. Some other photographers told me I'd have to pay for photos to have the watermarks removed. I should note our photos were edited and sent to us in a VERY prompt and timely manner. Thomas is one of those rare wedding photographers who is a photographer first, which is so hard to find. My husband Andy and I did not want basic wedding pictures - you know what I'm talking about. We wanted photos that would capture both our wedding, which was in Colorado, and the gorgeous scenery, location and bride and groom. (#humblebrag). There is no better photographer to choose for your wedding/whatever event you're having photographed. Thomas is professional, straightforward and super talented. The pictures from our wedding are breathtaking. I highly, highly recommend him. ABSOLUTELY FANTASTIC!!! 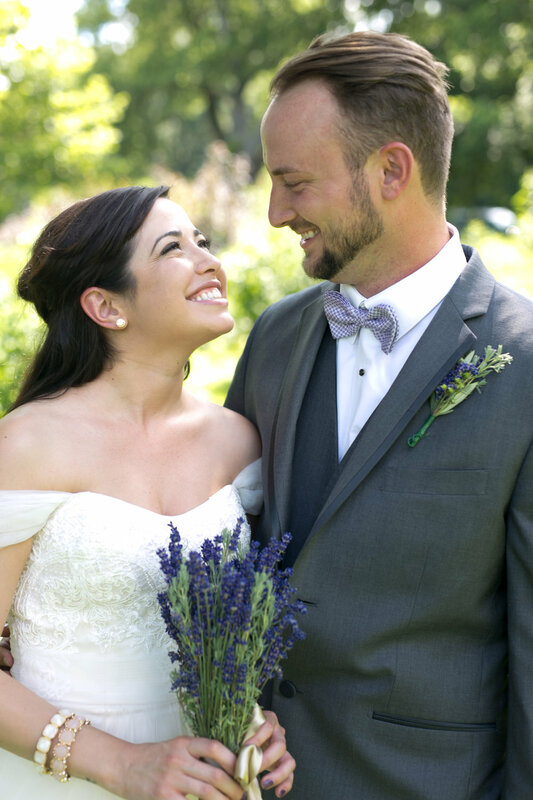 We can't thank Thomas enough for working with us & capturing our April wedding. His great ideas & patience made everything seamless. Echoing the other reviews, we also didn't want "basic wedding pictures." We love transit & Chicago; Thomas worked with us & our interests to capture so many brilliant shots. Hire Thomas first, before you do anything else, then hire Nicole at Urban Allure Events & everything will be smooth as silk. Promise! I recently shot my engagement shoot with Thomas and just received my photos back (less than two weeks). I am beyond pleased with the quality and moments he was able to capture so effortlessly. Working with him was a walk in the park, he made us comfortable, laugh, all while being good company and still able to shoot with excellence. The best part is we received a great amount of pictures back that were all LOVELY with great touch ups. We went in blind when booking him, the only exposure we had was from his website. And I am so happy we were lucky enough to have an amazing experience. He was also kind enough to work a great deal out with our budget, which we really appreciated. Honestly it's hard to sum up how satisfied me and my fiancé were, but all the other reviews do a great job in doing so. If you are looking to book a wedding photographer, - book here. I promise the experience you'll receive will be worth it. His dedication and understanding of how important these moments are will not go unproved. I'm so excited for him to photograph our wedding this July and looking forward to all the beautiful moments he can capture. Thomas is very personable and super helpful. He responds quickly to emails, we had no issue coordinating with him both for our engagement session and wedding day. His pictures are gorgeous and we couldn't imagine them better. He is very laid back and easy to work with. I had a last minute request to have a videographer, and he immediately recommended somebody that could come on short notice, which we really appreciated. We didn't have to wait long at all to get our final pictures either. Overall, an extremely positive experience and wouldn't hesitate to recommend him to anybody! We hired Thomas for our wedding this upcoming August, and were able to meet and work him a couple weeks ago for our engagement session. He is not only laid back and easy to work with, but very professional and makes the session feel completely natural and fun. We received the final edits this past weekend and are extremely impressed by his work. Everything from the portraits, to the scenery, to the lighting, were all captured beautifully. We are so excited to continue working with him this year for our wedding! We can only imagine how great our wedding photos will be :) Thank you Thomas! Two of my best friends had Thomas as their wedding photographer so we knew exactly who we wanted to document our big day. All of the expectations we had going into our engagement shoot and wedding day were far exceeded! We live in New York but wanted to get married in our hometown of Chicago. Thomas was so unbelievably accommodating with his schedule to make sure we got our engagement shoot to happen. We found a day in the middle of February and what resulted were beautiful and unique photos that I never would have expected in the middle of winter. We told Thomas we only needed "one good photo" that we could hopefully use for our wedding day and we ended up with so many pictures we loved, it was hard to pick only a few! It's a beautiful collection and we got so many compliments on the photos!! The morning of our wedding, Thomas arrived with a second photographer to begin taking pictures of us getting ready. The entire day was seamless. He picked out our first look location (for which I was so thankful- I don't have an eye for those things) and the entire moment was so beautifully organized. To have someone capture that is so personal and Thomas made us both feel so comfortable, it was truly perfect. It is a moment we will treasure for the rest of our lives. Thomas is professional, funny, organized, and beyond talented!! Everything felt so natural. Some of my favorite pictures are the candid ones when he would say something to get us laughing. I cannot recommend Slack Photography highly enough!! Thomas, you're simply the best! We cannot thank you enough. I just received the edit of our wedding photos and I am unbelievably impressed. I was not expecting to adore so many of the photos that Thomas captured but I'm having a terrible time even narrowing down by top 200. By taking a look at Thomas' website and blog, you will immediately know that he is an artist and captures precious moments in the most beautiful way possible. If you are like me, you thought that a photographer like Thomas was well over what you could afford for your wedding. Not the case! Thomas is the most underpriced photographer we interviewed. Though many will claim to be destination wedding photographer, Thomas has more experience in this area than most (again, take a look at his website and blog). Thomas arrived to Colorado a few days before our wedding to scout locations and though I would never have thought to follow a dirt road into a field in my wedding dress, I wouldn't take it back for a second. Absolutely stunning. What I loved most about working with Thomas was that he captured our true spirit. His style can be very edgy and out of the box but we never felt pressured to stray from our more traditional leanings. We are now lifelong clients of Thomas and can't wait to fly him to our new home in Seattle to document our future life events. Thomas is the best!!! He was so flexible and easy to work with at our non traditional wedding along the river walk in Chicago. He was an integral part of our day. He was prompt, attentive, hilarious and relaxing. Everything a bride needs! I usually feel uncomfortable in front of a camera, but Thomas has the ability to put me at ease. My parents, unprovoked, are constantly bringing up how unobtrusive Thomas was when photographing the ceremony and at how shocked they are at the quantity and quality of the images. The photographs are beautiful and I am so happy that we worked with Thomas. We will for sure be using his photography services again! My French husband and I met Thomas through a mutual photographer friend, and as soon as we spoke with him, we were excited to have him join us in France for our wedding in early July. Thomas is professional, humorous, and very enjoyable to work with. He is easy to communicate with, which is very important when planning a wedding. Thomas made us feel comfortable in front of the lens and the sneak peek we've seen makes us excited to see the rest. We highly recommend Slack Photography. Thomas and team did an amazing job with our wedding photos. We live in San Francisco and he was great to work with prior to the event and on point with all communication. When we met and discussed what we wanted I was even more comfortable and looked forward to working with him on the big day. Prior to the event, I thought the main thing that mattered would be the photos at the end. And those are of course very important, and Thomas did an amazing job delivering photos we will love for the rest of our lives. But where he turned out to be even more amazing, was his demeanor with the group and the way he guided us during photos. Efficient, fun, and allowing the whole party to be themselves and smile through it all. He wasn't obtrusive, but was where he had to be and caught the best pics that way. In the end the wedding party commented on how great he was even prior to seeing the photos. If he and his team are available for whatever event you have going on, stop looking and book him up. Thomas was the photographer for our wedding in Chicago. We were referred to him by close friends who had a great experience working with him. After meeting with a few photographers, we ended up choosing Thomas - he was so easy to talk to, very relaxed about the process, and so flexible and willing to work with whatever we decided we wanted to do on the day of. We were planning our wedding from San Francisco, which made his responsiveness and flexibility even more priceless during the planning process! On the day of, he really made everything come together. He was never in the way, but captured so many amazing moments on our wedding day, including specific shots we had mentioned wanting. He kept our families and wedding party organized and moved quickly to really maximize the time we had to spend with them, rather than spending our whole day taking pictures. The finished products were stunning and beautiful - we cannot thank Thomas enough for giving us such great memories from the best day of our lives! I highly recommend Thomas to any couple looking for a wedding photographer - he is so professional, and yet so "chill" and fun to work with - the perfect combination! 5 stars! Words can not explain how phenomenal an experience we had with Thomas as our wedding photographer. Thomas shot our wedding in Boston and he was amazing. He is an ultimate professional and is the upper echelon of his profession. His attention to detail is very evident, but with this he is very laid back allowing for the couple to be comfortable, confident, and portray sincere emotion and feeling in each picture. We would recommend Thomas without reservation. When I was searching for a wedding photography a couple of years ago for my daughter’s wedding, I was given Thomas’ name. When I first spoke to him, he was a delight and made me feel very comfortable and no question was too much for him to answer. Researching other photographers, his pricing was very reasonable. He took a personal interest and I knew from that first conversation and from seeing some of his work that he was the one I wanted for the wedding. It was an easy decision. Throughout the wedding planning, he kept in touch and met with my daughter and her fiancé. He was very aware of the look they wanted. Because of the size of my daughter’s wedding, we also hired his accompanying photographer and she was also very good. On the wedding day, Thomas and his associate were exactly where they said they would be and on time. They were so sweet and made everyone feel comfortable. Thomas captured the wedding day beautifully and we were very pleased with our photos. We received great quality photos. Some photos were the traditional shots and then in his “Thomas” way, he got very creative and did some very fun shots, as well. I highly recommend Thomas Slack for your occasion and I think you will also be very pleased. Thomas is absolutely amazing! We had a destination wedding in Hawaii, and he flew out early to scope places for photos. He was so amazing to work with and made the photos so much fun! Our engagement session were in Chicago and he had great visions to capture different parts of the city that we will treasure forever. We have been extremely happy and in love with every single picture he has taken.. And there were tons! :) He has such a talent for photography and is fun to work with so it is a win win! Thomas was referred to us by a friend who used him for a wedding, and we have to say, we could not be more happy that we chose him to do our wedding here in Chicago this March! After our initial meeting with Thomas, we loved that fact that the wedding package included a complimentary engagement shoot, giving us the chance to work with him and get comfortable before the big day. The compliments from our engagement photos came rolling in non-stop. Thomas has an eye for the greatest impromptu photo opportunities, color and scenery, and he made the engagement shoot a lot of fun. He also somehow managed to make my fiance (who is for the record VERY uncomfortable in front of the camera) laugh and look natural throughout the shoot. Win! The day of the wedding Thomas and his assistant arrived on time and started shooting our getting ready shots right away. I loved their ability to capture photos while we didn't even realize we were being photographed. As we were being driven to our wedding venue after our "first look" in a beautiful white Rolls Royce, Thomas popped up from his sunroof while his assistant drove and started taking photos of us driving behind him! He even got out of his vehicle and ran ahead while we were stuck in traffic to capture our car driving over one of Chicago's iconic bridges downtown. Now that's dedication! At the wedding, he and his assistant were able to mingle within the crowd and all I kept hearing was how nice the Photographers were! He even got my father to smile, not sure if I have ever seen that in a photo! Thomas, was always quick to respond to any questions we had, accommodating for every request and was even able to save the day not only once but twice with two wardrobe malfunctions! We would highly recommend Slack Photography for ANY event! And plan on using him for all of our big events. Thomas did a great job with our wedding pics - he was easy to talk to and didn't try to sell us an over the top wedding photo package like several other photographers/companies we talked to. His pricing was very reasonable and we are thrilled with the end result. He had a lot of great ideas, came to the hotel early for some getting ready shots and took us for some Chicago skyline shots that we never even thought of. He also did a great job with group shots and all of the ceremony, cocktail hour and reception pics. We are going through them now online and love having them - my only regret is not having a second photographer and/or asking him to stay a bit longer, because we love the pics so much. I am so happy we found him and would definitely recommend him to anyone seeking a photographer! Thank you Thomas - we'll refer you to others. Great job!!! I hired Thomas after meeting him at one of my clients weddings. I am in the Wedding Planning Business and I meet a lot of photographers, but Thomas stood out! I couldn't have been happier with choosing Slack Photography for our wedding photos. Thomas was a pleasure to work with, chose great photo locations, was wonderful in handling a rowdy wedding party and made sure to get all my requested photos. I can't wait to recommend him for my upcoming couples and client parties ( I already have!) . Thomas Slack didn't just come to our engagement photo shoot with an all systems go approach - he straight up nailed it. My fiancee and I live in Austin - not only did Thomas travel down for the shoot - he definitely did his homework. He knew the lay of the land better than we did! He scoped out a perfect mix of playful and romantic backdrops for our loving shoot. We felt so comfortable with Thomas - it was very natural to let our love shine through and have him capture the moments as they unveiled. Not only was he incredible to work with, he was an absolute joy to spend time with as well. His demeanor is a healthy balance between unassuming and focused. He is grounded and a true professional at his craft. Frankly, he's just awesome. I recommend Thomas Slack for any photography. From editorial to portrait (and everything in between) - Thomas (with 100 percent certainty) knows exactly what he is doing. We worked with Thomas last weekend for our Wedding and we couldn't be happier with how perfect our day was and how big of a part Thomas played in that. I have to admit the week leading York the wedding I was a bit anxious worrying about if we were going to get everything that I wanted to capture in such a tight timeline. Thomas and I spoke that week and he reassured me and made me feel at ease. He had me write out a shot list of every group picture that I wanted. When it came time for that wedding he followed my sheet and kept everything rolling. It was literally seamless. I didn't worry about a thing that day!! I've been part of other wedding parties with pushy and rude photographers but Thomas is be complete opposite!!! He keeps everything calm and collected and is funny to keep things feeling real. I would highly highly recommend using him!!! He's also great with crowd control, and super detail oriented. You will not be disappointed with his services!!! Thomas, you know we adore you! We found Thomas after friends of ours used him for their 2014 wedding. After taking our engagement photos, we referred him to friends who got married before us. Their photos were amazing and it just made us that much more excited for our turn. We got lucky that our wedding fell on the most gorgeous day of the year but I know Thomas could have made the most gray day look incredible. Thank you again, Thomas, for everything, and we will continue to tell everyone we know how amazing you are. We look forward to working with you in the future!